Hey, move over a little – your font is cramping my style! I need some space! GIMME SPACE! 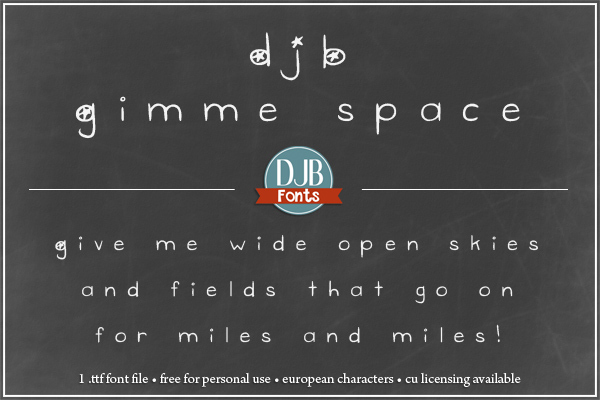 This is a spaced out font which includes European language characters and a few fun dingbats. It was originally created in partnership with Lauren Grier.